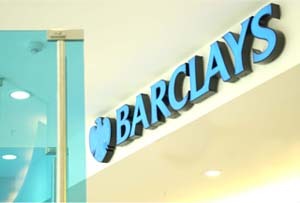 It's been a tough few months for banks, but Barclays has managed to post a £5bn profit since January. Unless you’ve got a spectacularly unreliable broadband connection, you’ll have realised that for banks, trading conditions over the past few months have been tumultuous, to put it lightly. So it’s something of a surprise that Barclays has just posted a 19% rise in pre-tax profits to just over £5bn for the first nine months of the year (including the £7.7m fine it paid for mis-selling Payment Protection Insurance) – up from £4.3bn during the same period last year. But its original level of exposure to sovereign debt (more on that in a minute) is down, and despite investors’ general apathy at the moment, things are going well. Barclay Capital, the bank’s investment arm, saw pre-tax profits fall by 22% to £2.25bn on its previous quarter – although that’s been reflected across the industry, with markets spending their summer merrily yo-yoing, causing investors to become decidedly queasy at the prospect of any risk-taking. Thus, revenue in fixed income, currencies and commodities (appropriately acronymed FICC), dropped 16% from the second quarter, while equities income fell by 40%. CEO Bob Diamond (formerly head of BarCap) said that he felt ‘pretty good’ about its performance, ‘given market conditions’. And given markets conditions, then, you might expect the bank to be feverishly reining in its lending. Not so, apparently: during the nine months to 30 September, it lent £33bn to businesses, including £11bn to small businesses – which means that it’s on track to ‘exceed’ the targets set for it by Project Merlin, the agreement between banks and the government designed to increase lending to businesses. So far, so good (ish), then. Although if the eurozone crisis continues to deepen, things next quarter might not look so encouraging.